In the first episode of X-Men, we learned that renegade inventors Gyrich and Trask had instigated Project Wideawake as a means of killing all mutants. After a lengthy absence, the two villains return, whereupon they again begin manufacturing the dread mutant-destroying Sentinel Robots. Unable to stem the flow of Sentinels, the X-Men must located and destroy Gyrich and Trask's Master Mold. Help comes in the unexpected shape of the unpredictable Dr. Magneto. 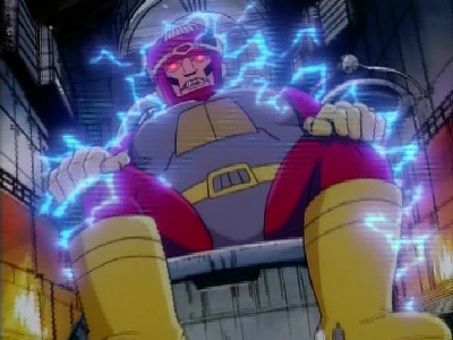 "The Final Decision" was, appropriately, the final episode of X-Men's first season.